NOT FOR COMMERCIAL USE. 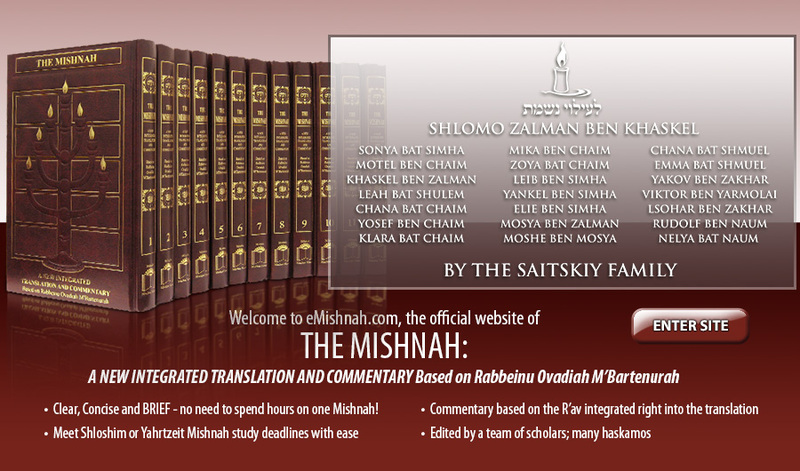 Free access to the material on this website is intended for personal, private use to individuals interested in sampling the unique Integrated Mishnah Series. Israel Book Shop at (732) 901-3009 for permission. Copyright © 2016 eMishnah.com All Rights Reserved.